The aim of the South Florida Spartans, is to be a premier travel organization in the surrounding area and nationally. South Florida Spartans is in support of developing all athletes, parents, coaches and the community. South Florida Spartans aspires to provide quality training for those who seek to enhance their skill set. 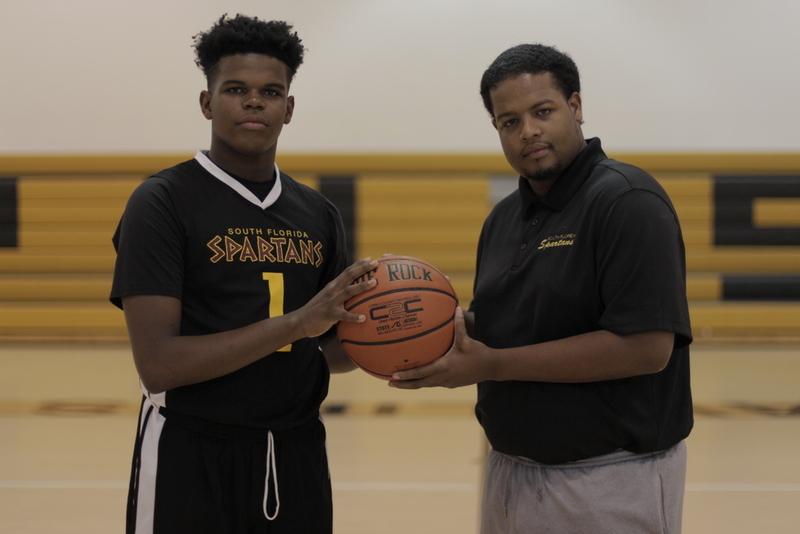 South Florida Spartans experience can be used when applied correctly to develop not only the skills as a player, but also the fundamental characteristics that allow players to become successful on and off the court. The Mission of the SFS Travel Basketball program is to provide youth basketball players withintensive skill development and a higher level of competition on an additive basis to the traditional organization program, which is designed to promote the development of strong character, a right attitude, a sense of responsibility and citizenship in youth, using the game of basketball as a vehicle. It is the intent of the SFS Travel Basketball program to achieve this goal through fair play, good sportsmanship, congenial fellowship, and a level of competitive basketball that meets the needs of a select group of players and their families. However, developing players in terms of basketball knowledge, skill, character, love of the game and sportsmanship remain our top priorities – along with winning. The SFS travel basketball organization, is designed to promote the development of strong character, a right attitude, a sense of responsibility and citizenship in youngsters, using the game of basketball as a vehicle. It is the intent of the SFS Travel Basketball program to achieve this goal through fair play, good sportsmanship, congenial fellowship, and a level of competitive basketball that meets the needs of a select group of players and their families.